If everything goes according to plan, next year I will teach four workshops on three different continents. Some of them will be very adventurous while others while be more laidback. They will vary from weekend long workshops to a tour stretching almost a fortnight. There should be a workshop for most aspiration. Maybe I’ll see you in one of them? Once again, I will teach a photo workshop in Cuba in May. This is my most popular workshop, which I teach together with my friend and colleague, Sven Creutzmann. We have done this since 2007, almost every year. Here on my blog I have written many a post about Cuba, and if you follow me, I don’t need to introduce you to this fascinating country. It’s certainly a country that it’s a dream place for most photographers, colourful with openhearted people and photo opportunities around every corner. Next year’s photo workshop will take place from May 4th to 11th. If you may be interested, you’ll find more information on Blue Hour Photo Workshops, «Street Photography in Cuba». 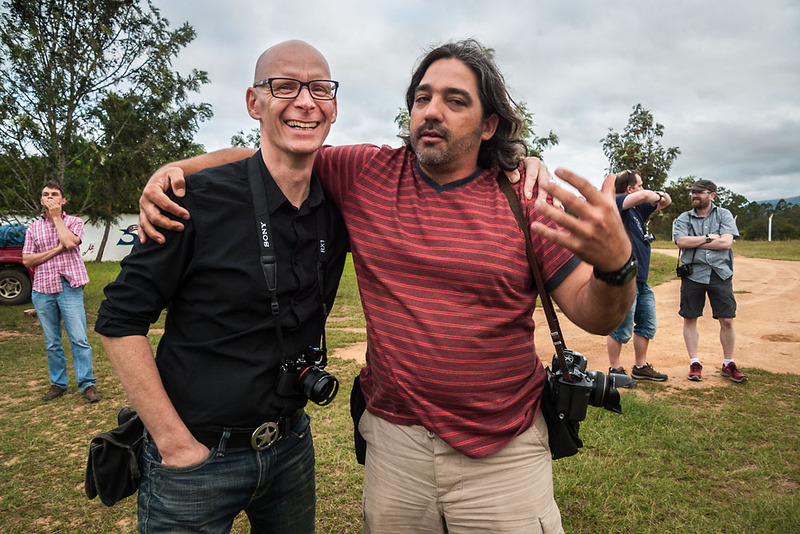 For Sven and me it’s extra exciting to re-launch a photo workshop in Bolivia. 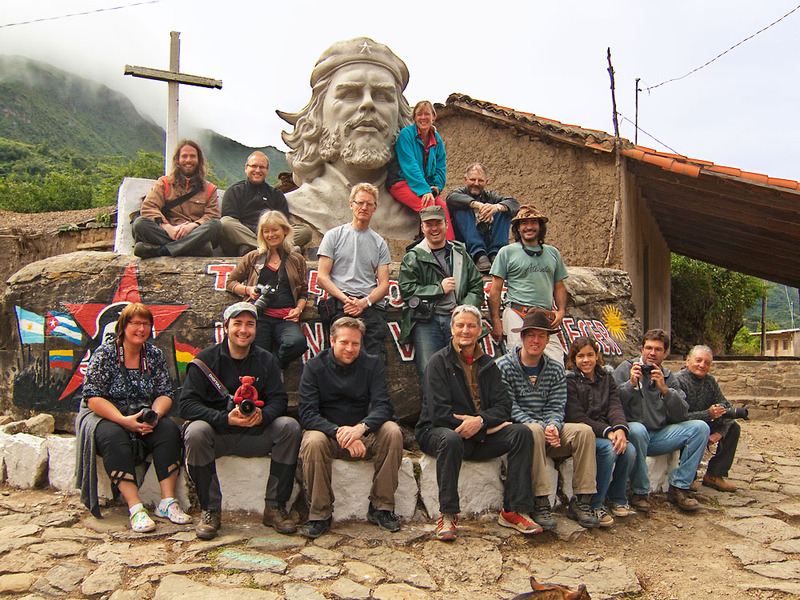 This will be a truly adventurous workshop, in which we follow the footsteps of Che Guevara, up until he was captured and killed by the Bolivian army. We will travel through small mountain towns and off the beaten tracks in a lush and beautiful landscape. We will meet local people and we will talk with some of those who took care of Che Guevara after he was captured. In all modesty, this is quite an extraordinary photo workshop. The Bolivia workshop will take place from September 15th to 24th. For more information, once again look up Blue Hour Photo Workshops, «On the Tracks of Che Guevara». In addition to the Cuba and Bolivia workshop, I will teach yet another weekend workshop in Bergen, Norway in the beginning of June. Next year I also plan a complete new photo workshop in Seattle, USA. The date is yet not settled, but it will take place in the autumn of 2019. These two workshops I will get back to with more info. It looks like a great plan for next year! A fantastic series of workshops you have planned, Otto. To follow in Che Guevara’s footsteps will be a remarkable adventure, especially when meeting people who took care of him. Looking forward to seeing the photos. It will take some time for the photos to show up on the blog, about a year. 🙂 But, yes, it’s going to be an adventure. looks like a good time was had by all, and will be next year too! all the best Otto! The foggy Seattle isn’t gloomy afterall !! Seems like a full year ahead! I will enjoy the outcome you post on the blog! Thank you for the kind feedback, Mary. These all sound wonderful, Otto. Maybe one of these days I’ll be fortunate enough to join you. Good luck with all your workshops! 2019 sounds like it’s going to be a good year for you, Otto. The workshop in Bolivia sounds very unique, and really interesting. Best of luck with all of them! Some very exciting projects ahead Otto, I’m sure you are looking forward with much anticipation! Much success! I am looking forward to these workshops. Thanks. It certainly sounds like you have a busy year planned. Anyone of those workshops would be amazing! Sounds like a great line-up Otto! I’m guessing we will be reading more about the experiences in the future! I will certainly get back with some experiences. Awesome. I was planning to go to Norway next year, just not sure which week I can go in June. It would be neat to have a workshop. I’ll have to see if I can meet up with your group? That would really be cool. And if not, maybe we can meet anyway if you come to Bergen – and I am in town?